Need help offering breastfeeding support or starting a corporate lactation support program? Our reputable consultants have the expertise that your company needs. According to the Centers for Disease Control and Prevention (CDC), more than half of American women with babies under the age of one were working mothers in 2009, and more than 60% of those women worked more than 35 hours per week. This high percentage of women going back to work after having a baby would generally be impressive, however, working mothers are less likely to breastfeed their babies, and those who do - breastfeed for a shorter length of time than non-working moms. If more women received on-the-job support that made it easier for them to express milk during working hours without negatively impacting their jobs, more of those working moms may choose to breastfeed. What is in it for the company? Studies have shown that breastfed babies get sick less often, and healthier babies lead to lower rates of absenteeism and reduced expenditures for your company health insurance program. 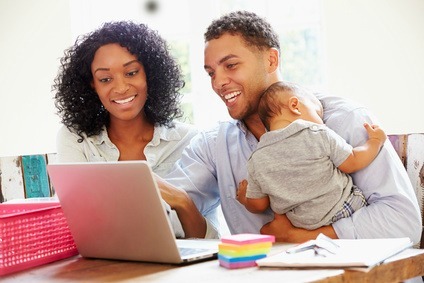 You position yourself as a family-friendly business. Employees of childbearing age (and their partners) are more likely to remain loyal to your company because they feel supported and appreciated. Those employees are likely to recommend your company to other professionals, because of that commitment to supporting new mothers and helping families thrive. This is beneficial to your company’s brand, creates goodwill and will help you secure better employees in the long run. Besides supporting new mothers returning to work for your company and positioning your brand as family-focused, a well-planned Corporate Lactation Program will help you fulfill legal requirements to support breastfeeding women in the workplace. In 2010, the Patient Protection and Affordable Care Act went into effect, requiring employers to provide private space and reasonable break time for breastfeeding mothers to express milk. Select from one of our predesigned breastfeeding support packages, or create a custom package based on the needs of your company and your budget. Then fill out the Request Form or call us to schedule your FREE consultation and facility walk-through. Our consultants and project managers are very flexible, considerate of your business needs and easy to work with. From designing and decorating a comfortable space to providing your working mothers with specialized lactation services, our job is to make sure your employees feel appreciated and accommodated without interrupting the flow of work in your office. To get started with your Lactation Support Program, as well as to request a hard copy of our brochure, contact us today! Providing high-quality lactation services and breastfeeding support for companies in Colorado. Our high-quality breastfeeding support services can be customized to your company and your employees’ needs. Get more details here or contact us for a quote. Breast pump rental, maintenance and purchase option that we offer helps our clients create family-friendly environment for their employees, that helps boost productivity, morale, and job satisfaction.